Suppose that there is a country called Tropisun. It is a country with volcanoes, a beautiful landscape, good surf spots and colourful towns with bustling markets. In addition, the population is extremely friendly and the country is ideally situated between the two backpacker destinations Guatemala and Nicaragua. Tropisun would have a golden tourist future. However, the country is not called Tropisun, but El Salvador! The country still has the same sights, but the name has changed into a name with a bad taste. 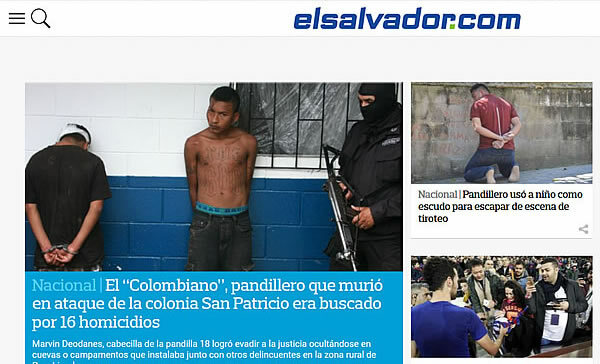 El Salvador?!?! Isn’t that the small problematic country somewhere in Central America? 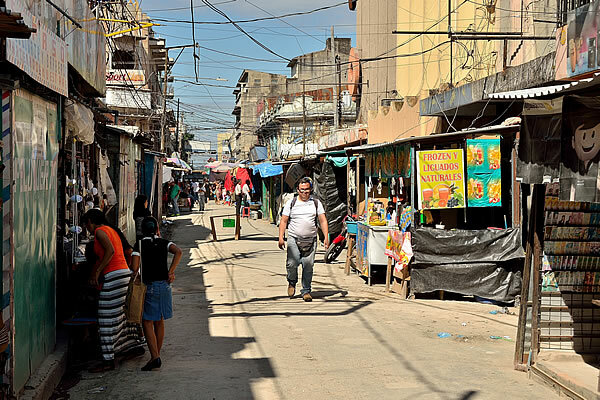 When we tell other travellers that we did not only quickly cross El Salvador on the way from one destination to another, but that we stayed for a longer time, they often look shocked. Who is going to stay in El Salvador voluntarily for a month? The brutal civil war of the 1980s is still in the memory of many people, and otherwise the high murder rates are. 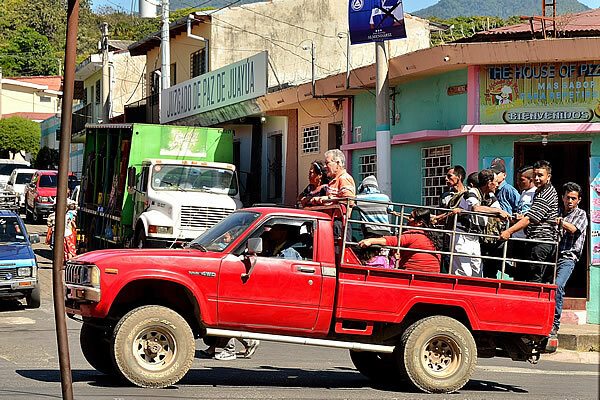 You can say so many times that you really have to have a lot of bad luck in ‘meeting’ the wrong types in El Salvador, but the bad image of the country is really deeply ingrained in most people. We have only been in Nicaragua for 10 days now, and we had already worse travel experiences than we had in El Salvador in a whole month. We do understand, however, that it is difficult to determine for whom El Salvador would actually be a good travel destination. Because no matter how you look at it, many sights that you can see in El Salvador are also available in the surrounding countries. Yes, El Salvador has beautiful volcanoes, but they are also present in Nicaragua and Guatemala. And indeed, there are some Mayan ruins in El Salvador, but they aren’t comparable with those in Honduras, Guatemala and Mexico. 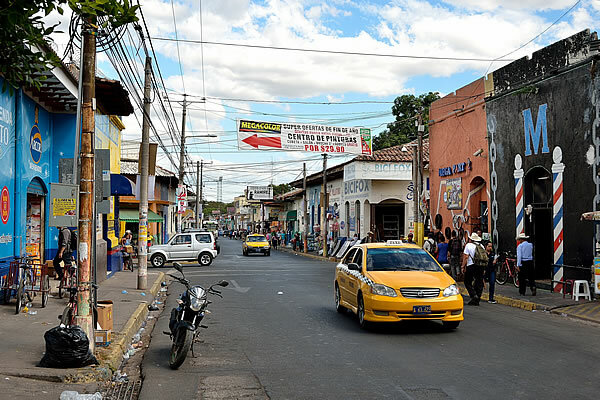 Some colonial towns in El Salvador are certainly worthwhile, but those in Guatemala and Nicaragua are certainly not less interesting. What El Salvador does not have is a true backpacker culture, with the exception of a few beach destinations. 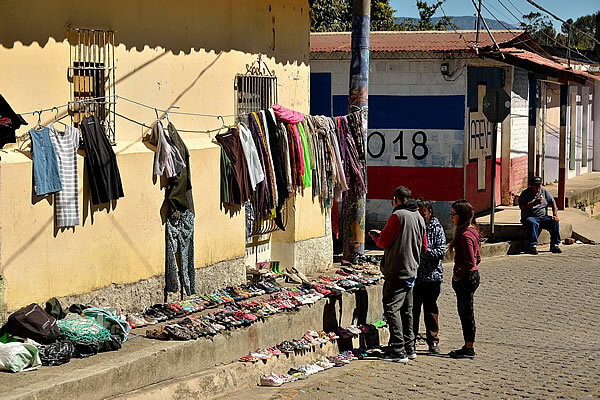 This backpacker culture, which is sought by a large part of especially the younger backpackers, and which you find in Guatemala and especially in Nicaragua, results in the fact that most backpackers skip El Salvador. And that is perhaps also the charm of El Salvador. There are almost no party hostels, no tourist oriented tattoo shops, no tourist shuttle buses and no flip-flopped backpackers with expensive iPhones, Rasta hairstyles, beards, nose bells, ankle straps, yoga pants, leg or neck tattoos and Ray-Ban sunglasses. 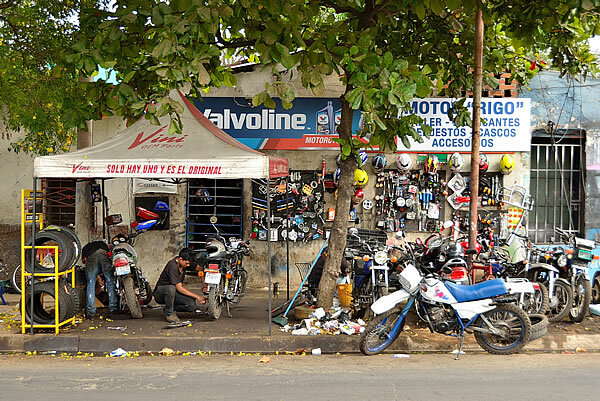 In El Salvador you can’t hide yourself in the backpacker scene, but you are all by yourself. Together with the El Salvadorans of course. And that's refreshing. Security in El Salvador is definitely an issue. But that is what it is in most other countries in Central America. We certainly did not experience El Salvador as more insecure than the surrounding countries. It is funny to hear a hotel owner in Santa Ana say that his town is completely safe, while he has secured his hotel walls with extra razor barbed wire and first looks through a kind of peephole in the door before he actually opens the door. When we said to him that it is very striking for us to see that the front page of every newspaper, every day again, has a murder with bloody pictures as the main item, then he shrugs his shoulders. This is gang violence and that does not bother us as a regular citizen, is what he says. And we believe that, because again, we have had no negative experiences in this generally friendly country. So the question remains: if I only have a few weeks of vacation per year, would I consider El Salvador as travel destinations. As is often the case, this question can’t be answered with just a 'yes' or 'no'. The question is what you are looking for in your holiday. Are you looking for a country where the tourist industry is well developed, you can travel comfortably between destinations with shuttle buses, and where you meet many other tourists in nice hotels and restaurants with whom you can drink a beer? Then El Salvador is definitely not the best destination. In that case you better go to Guatemala, or even better, to Nicaragua. However, if you are looking for a destination where the sights are perhaps less spectacular, you are more dependent on yourself, but people still really like it that you have chosen their country as a holiday destination, then El Salvador is definitely worth considering. It is rougher than Guatemala and Nicaragua, but also much purer. 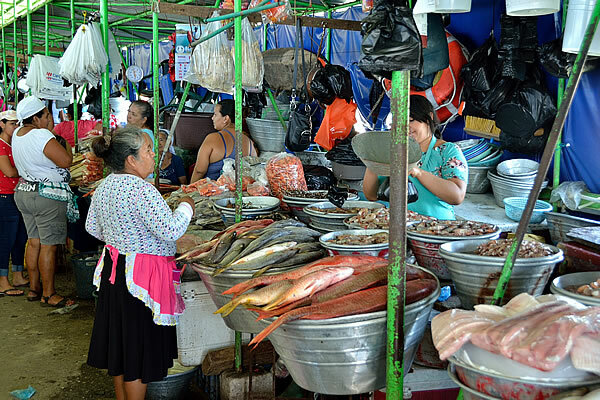 In El Salvador the prices have not been inflated and jokey remarks about "gringos" are a rarity. If that is what you are looking for, do not wait too long to visit El Salvador. Because if it stays calm in the country, also El Salvador will become a tourist magnet in the future, just like Guatemala and Nicaragua already are.